Original granular matrix material collected from outdoor HEPA filter segment placed in weak saline solution. Embedded cellular structures evident. Concavity of internal structures slightly visible. Estimated size of internal cellular structures approximately 2 microns. Numerous structures of this size and nature visible within HEPA-saline solution. No agar involved. Some motile bacterial forms initially observed. Note similarity to earlier reports of biological atmospheric samples. Magnification ~3000x. 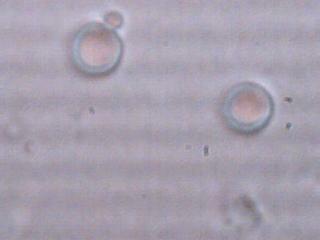 Occasional and isolated circular biconcave structure apparently reconstituted within weak saline solution. Estimated diameter varies from ~3 microns to a maximum of ~10 microns. Common full size reached 6-8 microns. Most structures released from matrix material show irregular or broken reconstitution. 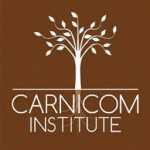 Dessication of internal smaller structures becomes a consideration. No agar involved. 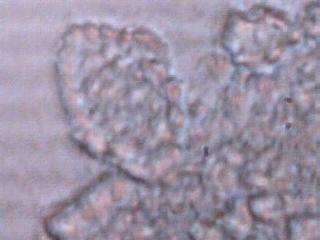 Magnification ~3000x. 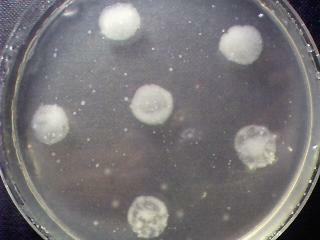 Petri dish with agar dish exposed to room where HEPA samples were removed from HEPA filter. Incubation period ~12hrs. Numerous small colonies develop. 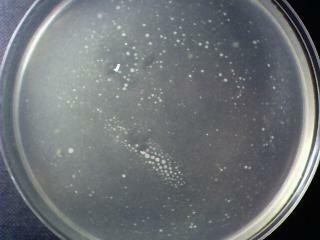 Petri dish covered with lid during incubation period. Agar contains small amount of beef bouillon. 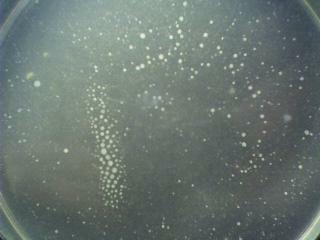 Petri dish exposed to six drops of HEPA filter and weak saline solution. Major growth evident at test locations. 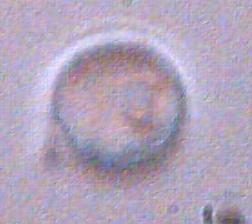 Petri dish covered with lid during incubation period. Several small colonies also visible. Colonies have white, milky appearance. Agar contains small amount of beef bouillon. 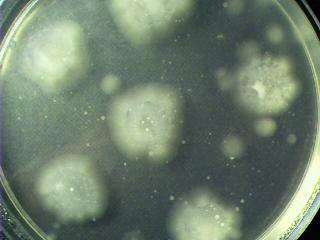 Massive growth of concave cellular structures on agar culture solution. Various stages of reconstitution evident from ~2 microns original size to ~6-8 microns. Appears to involve reconstitution from dessicated structures. Tremendous variation in cellular wall shapes. Magnification ~3000x. Very high count of perfectly formed (reconstituted) circular biconcave cellular structures now exist throughout agar solution after 12hr incubation period. Size range from ~3 to ~8 microns, with maximum size reached of ~6-8 microns. Maximum size reached appears to be the end of a reconstitution process within a moist nutrient environment. No resemblance to bacterial forms is evident. 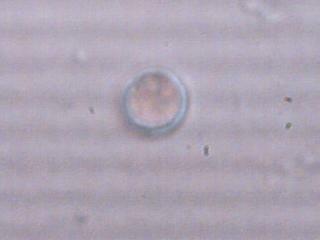 Resemblance to erythrocytes in shape, size, and structure is evident under microscopic examination. 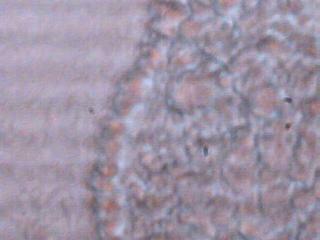 Magnification ~3000x. Control and cultured agar plates after ~24hr incubation period. Cultures on control plate remain relatively constant. Cultures developed from HEPA-weak saline solution continue to flourish. Increased count of perfectly formed (reconstituted) circular biconcave cellular structures throughout agar solution after 24hr incubation period. Size range from ~3 to ~8 microns, with maximum size reached of ~6-8 microns. Maximum size reached appears to be the end of a reconstitution process within a moist nutrient environment. No resemblance to bacterial forms is evident. 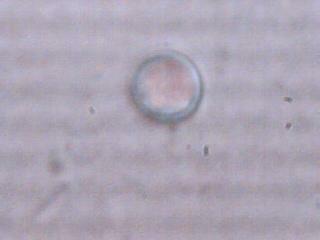 Resemblance to erythrocytes in shape, size, and structure is evident under microscopic examination. Magnification ~3000x. 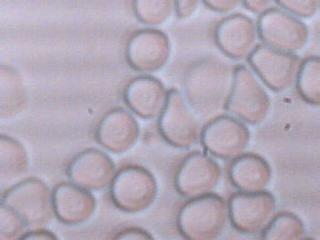 Control microphotographs of human erythrocytes. 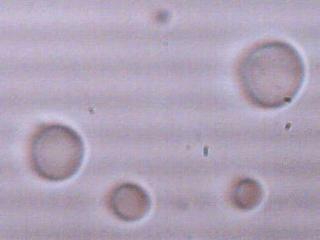 Diameter 6-8 microns. Circular biconcave structure. 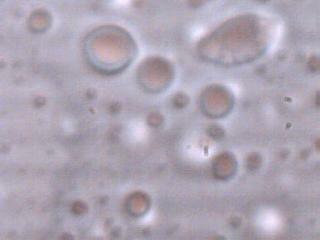 Magnification ~3000x. 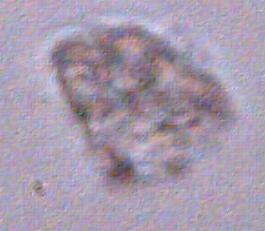 All visual characteristics similar to reconstituted samples recorded above. No stains used on any microphotographs; stains not required to establish visibility due to light adaptive capability of charge coupled device microscopic eyepiece. Eosin and methylene blue stains investigated, no obvious benefit from their use at this time. 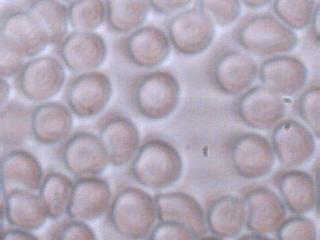 Deformation of cells in control photograph due to cell packing. Additional Notes : Reference numerous prior articles on atmospheric biological samples published on this site during the past five years. Reference refusal of EPA to identify physical materials that have been demonstrated to contain biological materials of a similar nature. Pursuit of positive identification of nature of material continues and remains as an outstanding request. Haemin crystal testing is planned. This work is partially dependent upon recent advances that have been made in microscopy methods and equipment. Additional discussion may follow at a later date. Stem cell developments and applications, along with properties and methods of biological dessication (freeze-drying, aerosols) are now additional inherent topics of research. Reference 1977 U.S. Senate Hearings on biological warfare operations conducted without informed consent. This page subject to revision.